The Mystery of the Crystal Portal is rated 3.9 out of 5 by 18. Rated 5 out of 5 by Pennyhall from Very different, but enjoyable, Hidden Object Game One of the first games I played. I still go back and replay this. Would like to see more of this type. 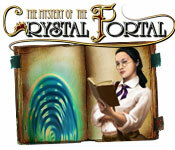 Rated 5 out of 5 by GOLDBUYER from The Mystery of Crystal Portal Great game. Was a lot of fun and a good challenge. It was a good adventure and would recommend this to anyone. Rated 5 out of 5 by mrm2006 from Whoa...Just Whoa. The gist of the storyline is that you go to visit your father and it appears that he's not home but his home has been ransacked. Find his journal and start a worldwide adventure..............but How do I possibly explain the mechanics of this complicated game. It is NOT for beginners or those with no patience whatsoever. Let me give a "for example" and hope that helps. You are in Japan. 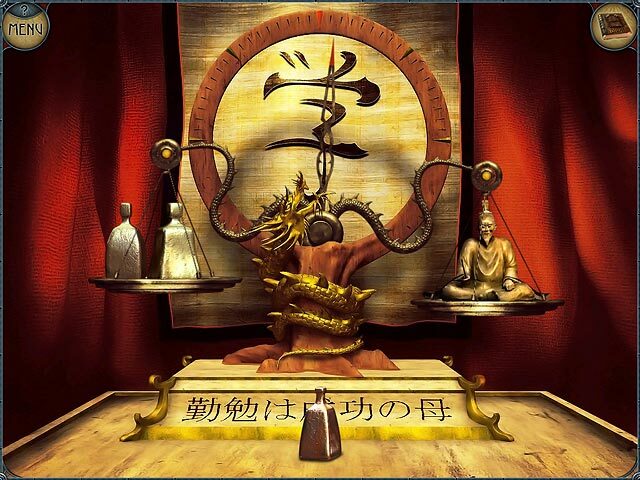 The journal opens and you can enter the Temple where you have no clues, except in the bottom left corner you see that you must collect 6 weights. As you click around, you pointer finds objects but where do they go? Wave it around the screen and eventually a circle of objects you need to collect will open. Once you collect all the objects in that particular circle, you may receive a weight, in this case, or an object needed to finish another circle. At the bottom of the page are question (?) marks. The number of question marks coincides with the number of circle of objects you need to find. But don't despair, the journal then refers you to another area where you can find more weights and, of course, more objects to find. Once all is found you are directed to the Secret Room/Place to continue your search - finding other objects than the weights - keep watching that bottom left corner for what you need to locate as well as the bottom of the screen for how many circle of objects you need to find. Sound confusing enough yet? It will make sense once you're in the game - I hope. I bought this game for my Nook about 2 years ago and loved it and after playing the free trial I am inclined to go back, unarchive it and play it again. Again, I don't believe this is a good fit for a beginner. And it is definitely NOT for those with little or no patience. The hint button does not always help. Glam-ma says give this game a try, all you have to lose is an hour, but I think you will enjoy it. Have fun! Rated 5 out of 5 by bgaboi from fun game game has all the fun of a real hidden object game.. loved the storyline. Rated 5 out of 5 by bearlybrave from Fun, Fun Game! This was one of my early buys, and I loved the game. 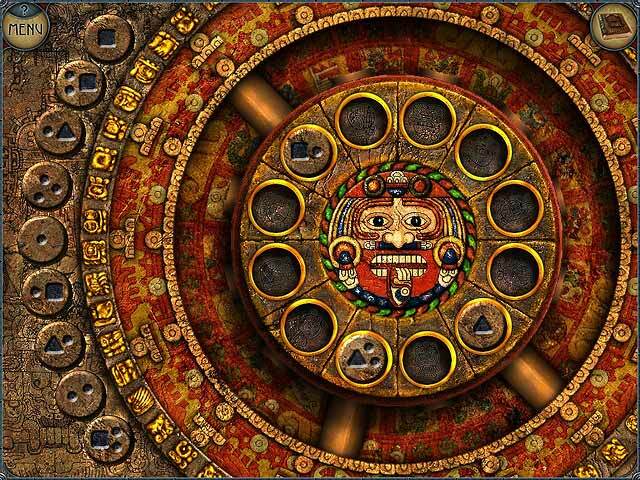 It has beautiful graphics, a fair storyline, circular HOs, and fairly easy puzzles. It is not a difficult game, but it is fun to play. Although I have moved on to other games, I still play it occasionally just for fun. For a beginner or even the intermediate player, this is a very good game and offers something a little different to the usual HOGs. Rated 4 out of 5 by cpklee from Fun Game Good game but entirely too short. Rated 4 out of 5 by AmerLyn from Interesting Take on History I really enjoy both Crystal Portal games, but #2 is better, I believe, than 1 and I long for number 3. At the end of Game 2, the authors dangled a carrot for game 3 and I've been waiting for quite a while for it to show up. Please say there will be a game 3! I love the fact that Nicole's father is drawn to look like Sean Connery's Indiana Jones character! Rated 4 out of 5 by arnold1049 from TO BE CONTINUED Very good game that moved in a nice linear progression. The HOS were where you had to find items to release something. You have no inventory in this game, so when you find all the pieces to an item, it doesn't go into inventory, but it either lights up, or starts moving, or falls down to reveal other items. Some of the items are very hard to recognize; some I found by accident, others I had to use hints for. The game seemed a little short, but I loved the ending. Rated 4 out of 5 by neilskinut from ok game I enjoyed playing it. Not that difficult to play. Igor helps you out as you seek clues. Worth playing. More of a game for beginners. Rated 4 out of 5 by rosekaufmann from SOLID ENTERTAINING GAME Game length: about 4 ½ hours on casual. Gameplay is straight forward: Fill in the circles of key objects and visit the next location. Visit Japan, the Alps, Guatemala, Africa and Russia in a quest for the parts of the crystal portal key. Appears to be no excessive clicking penalty. At least I encountered none, but then I would expect no penalty because you have to search a lot of objects to find the key objects before filling in the circles, and sometimes you have to click something away like a snowdrift or a box in order to expose an item needed to complete the circle. Some items are well defined; others well blended in. Expect to use hints for items in the latter category. Hint recharges in about 40 seconds. Artwork is beautiful for all 5 countries and dialogue is to the point. Somewhat challenging because the background is usually crowded with a lot of colorful items. A good entertaining game seeming to be aimed at novices and intermediates. 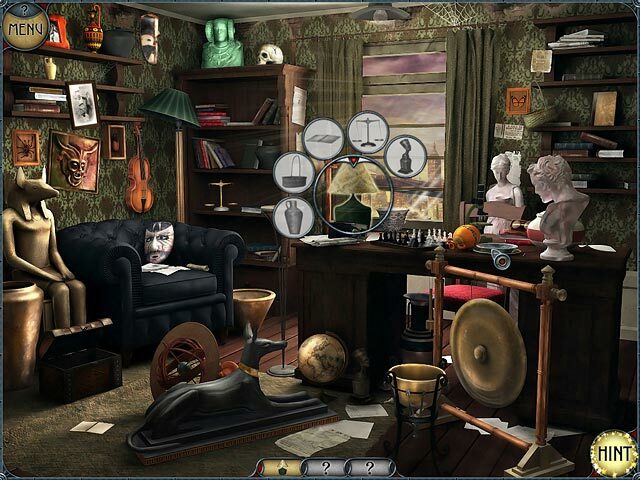 Embark on a brain-bending adventure that's full of unique hidden object fun! Help Nicole Rankwist find her missing father!